Formerly a Canon shooter I now shoot with micro four thirds cameras with my Olympus OM-D E-M1 camera as my primary camera, an Olympus OM-D E-M5 II as my secondary camera, and a tiny Panasonic GM-5 camera as my everyday, walk-around camera. My iPhone 7 Plus with its excellent camera equipped with two lenses is also always in my pocket! I also have an Olympus Olympus Tough TG-Tracker action camera and a small Yi action camera (a Go-Pro knock-off). 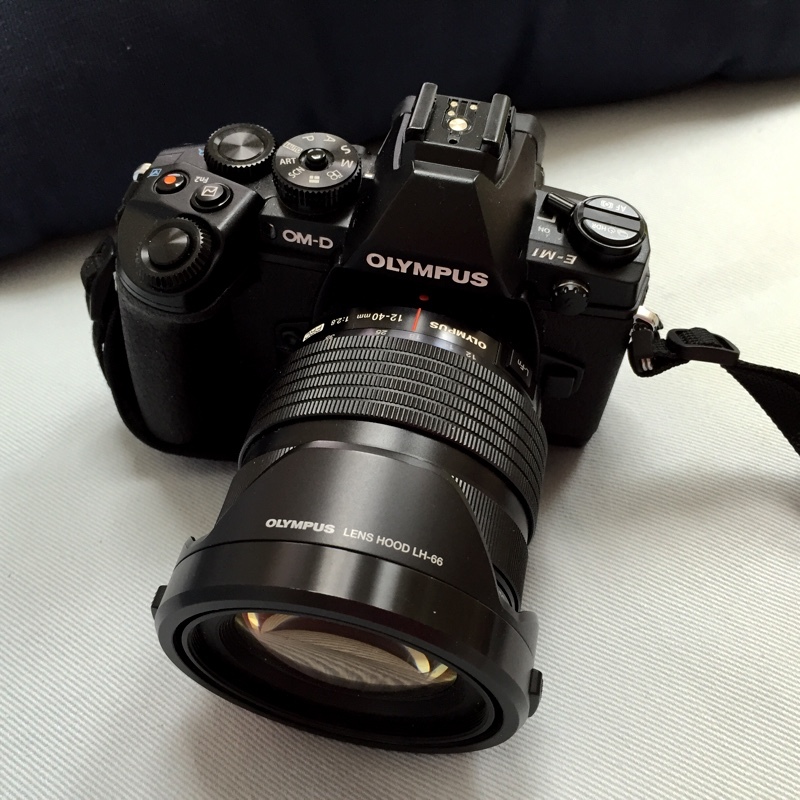 My primary camera is the Olympus OM-D E-M1 shown here with the 12-40mm, f/2.8 Pro lens. The Yi Action camera is a GoPro look-alike but at a much lower cost. I have this camera for very special occasions. A unique camera, the DXO One attaches via the Lightning port to an iPhone or iPad. The mobile device, then, becomes the viewfinder for the camera.